I didn’t attend a MLK Day event today. I feel ashamed of this. But my daughter was sick in the middle of the night and never went back to sleep. I just couldn’t be downtown at 8:30 for the big event. I haven’t read as much of Dr King’s writings as I’d like. Each time the third Monday in January rolls around I’m reminded that I’ve neglected them again. Not getting involved in a reconciliation organization outside the church. If I thought longer I could probably come up with more. My intent in sharing this list is not a subtle attempt to have you un-friend me. (In fact, if you’re reading this you may be the only active reader I have!) Rather, I share my regret list as a reminder that progress requires intentionality. One might cite Alexander Fleming’s discovery of penicillin as an accidental discovery that had a positive impact upon the world, but even there Fleming was intentionally searching for such a substance. He was working in an advanced laboratory. He had advanced degrees in his field. He knew what he was looking at in the fungus covered dish. Churches sometimes become multi-ethnic by accident. I’ve seen situations where a split in a church with predominantly one race, leads to a significant group from that church joining a sister congregation whose members predominantly represent another race. Suddenly, the second church is multiracial… by accident. However, if the members of this new congregation think they only need to turn up on Sunday and everything will be okay, they will soon discover otherwise. The civil rights movement in the United States did not happen by accident. 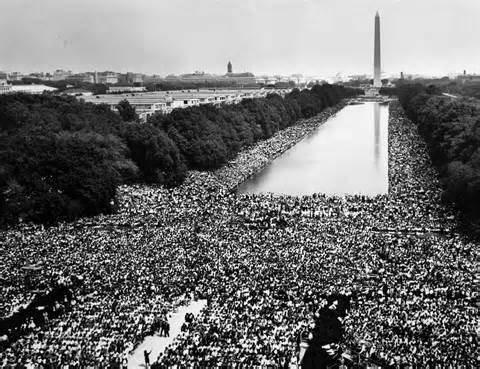 Dr King’s speeches and the movement he spearheaded did not happen by accident. Although Dr King had a dream, he didn’t develop that dream sitting in a rocking chair on a porch watching fire flies dance in the moonlight. His dream evolved from his experience, his faith and his education. His dream only moved toward reality because he was prepared to pursue it and gifted to inspire others to pursue it with him. And as my friend Sean Palmer pointed out in a blog he wrote last week, these people were willing to bleed to change their world. Churches and church leaders who dream of racial harmony have found a great starting point. What they do next is vital. Will they seek out other races and listen to their stories?
. What books will they read?
. Will they involve themselves in their communities?
. Will they learn new languages?
. Are they willing to make adjustments in the feel of their worship services?
. Will they accept new leaders in the church and treat them as equals? If no one asks questions like these, or if the answer to each question is negative, the dream will die as quickly as it was born. Through the echoes of history Martin Luther King Day calls us to keep dreaming. It also calls us to action… not accidents. Each year I read at least one book on the subject of race relations and/or multi-ethnic church leadership. Today I bought the books I’ll read this year. When the third Monday of January rolls around in 2016 I’ll know more about Martin Luther King Jr than I do today. Next year I’ll have one less regret. What intentions do you have for the coming year to turn MLK’s dream to reality?